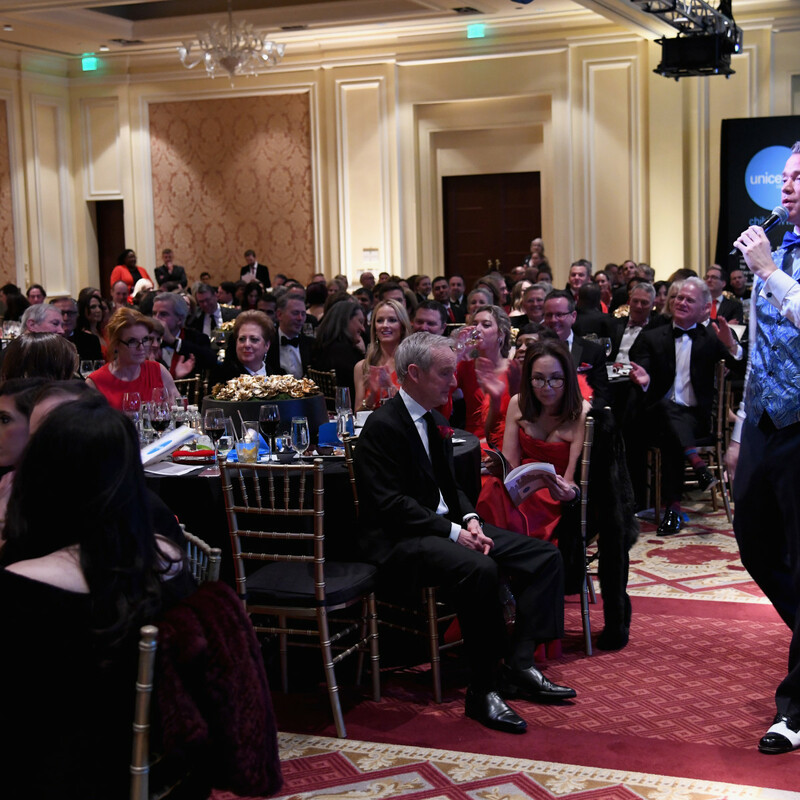 Andrew Bost conducts the auction. 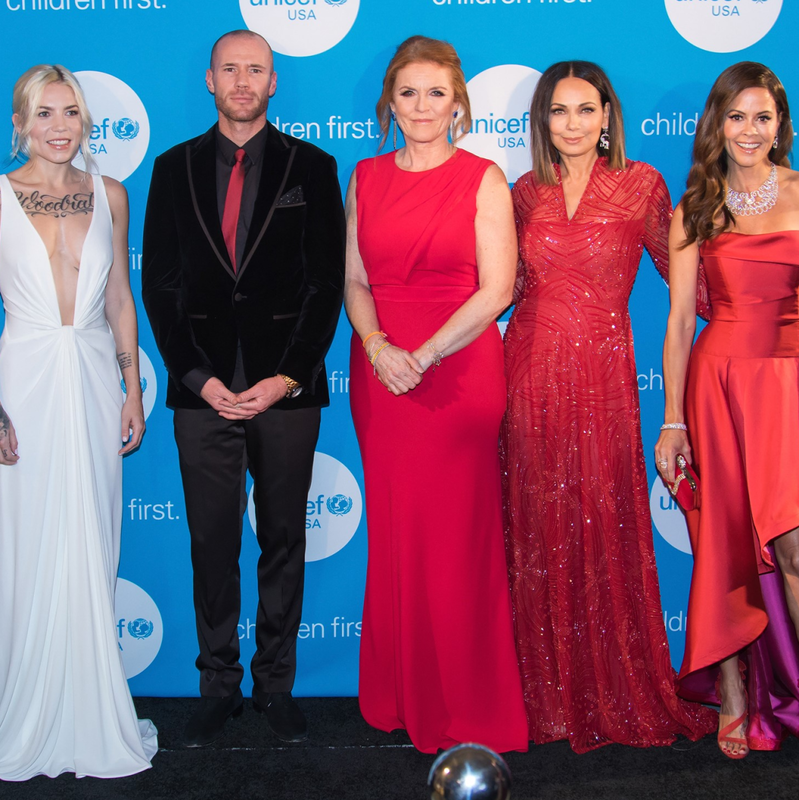 A Hollywood heartthrob and member of the British royal family brought international star-power — and Instagram moments — to the inaugural UNICEF Gala in Dallas. 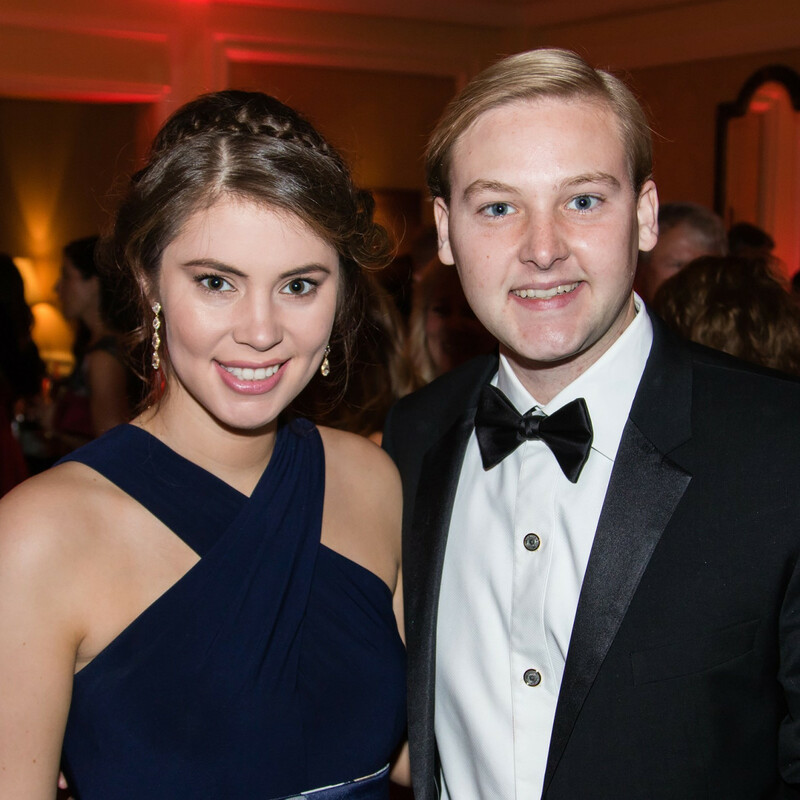 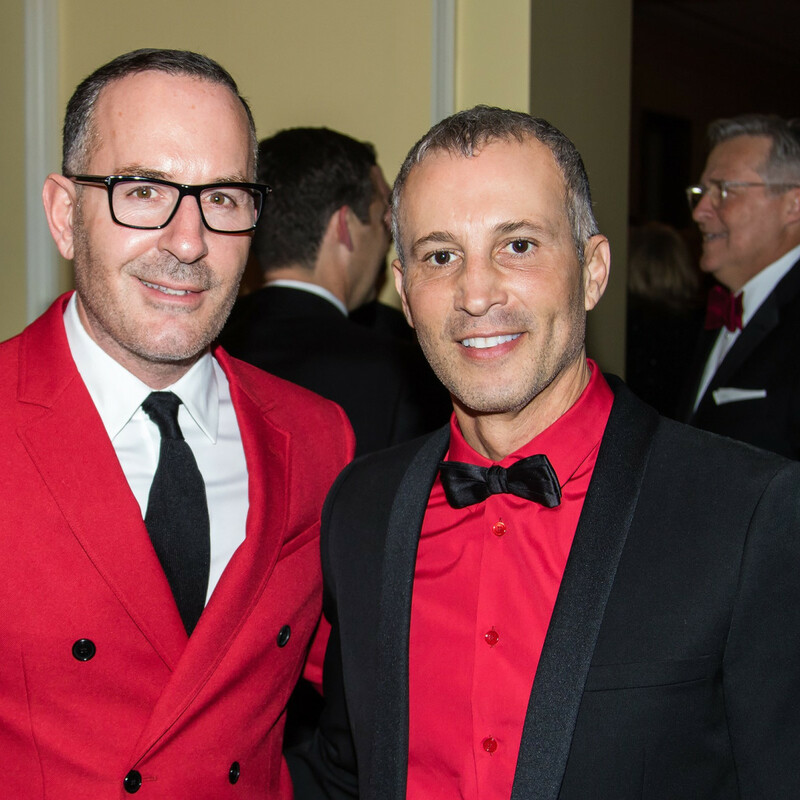 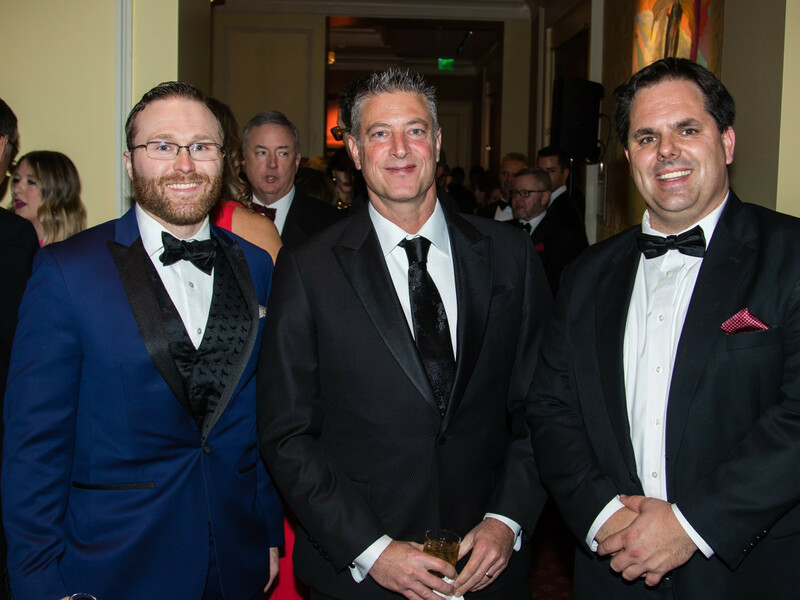 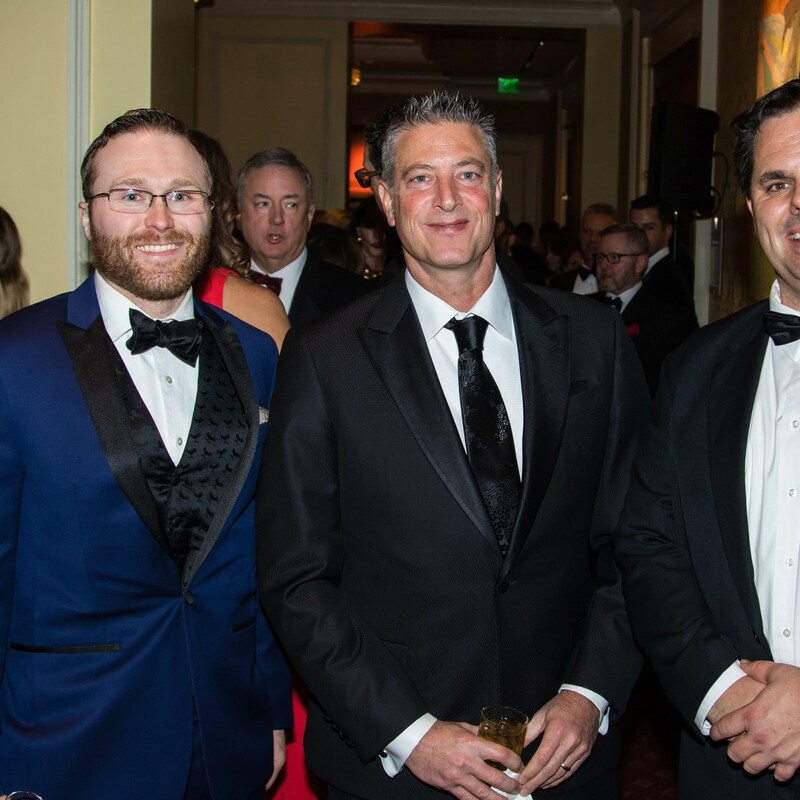 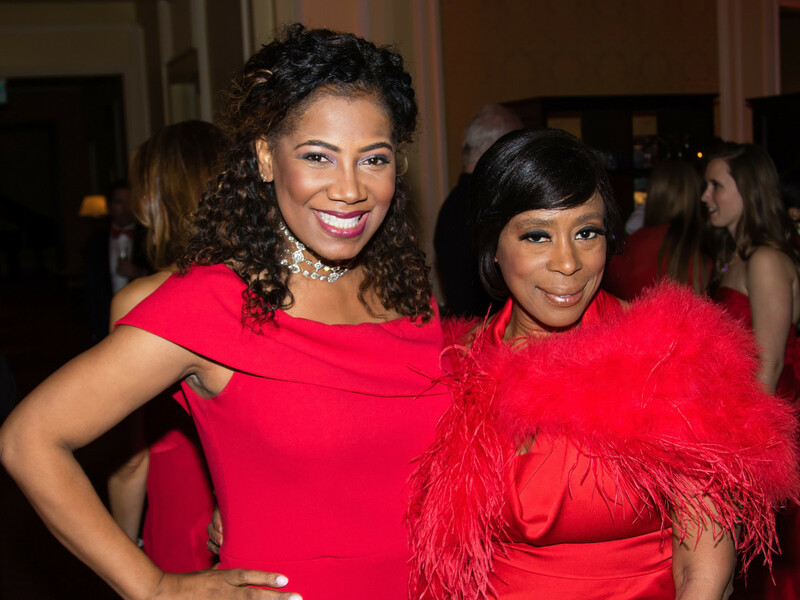 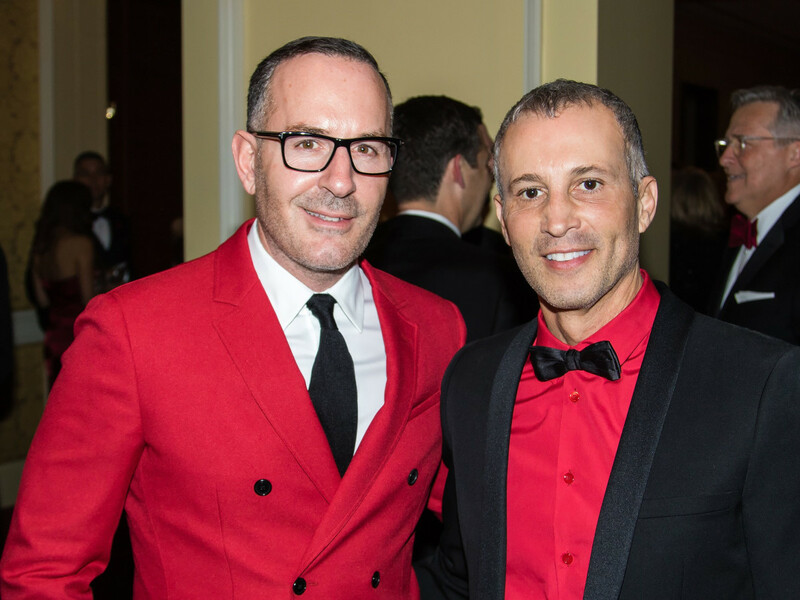 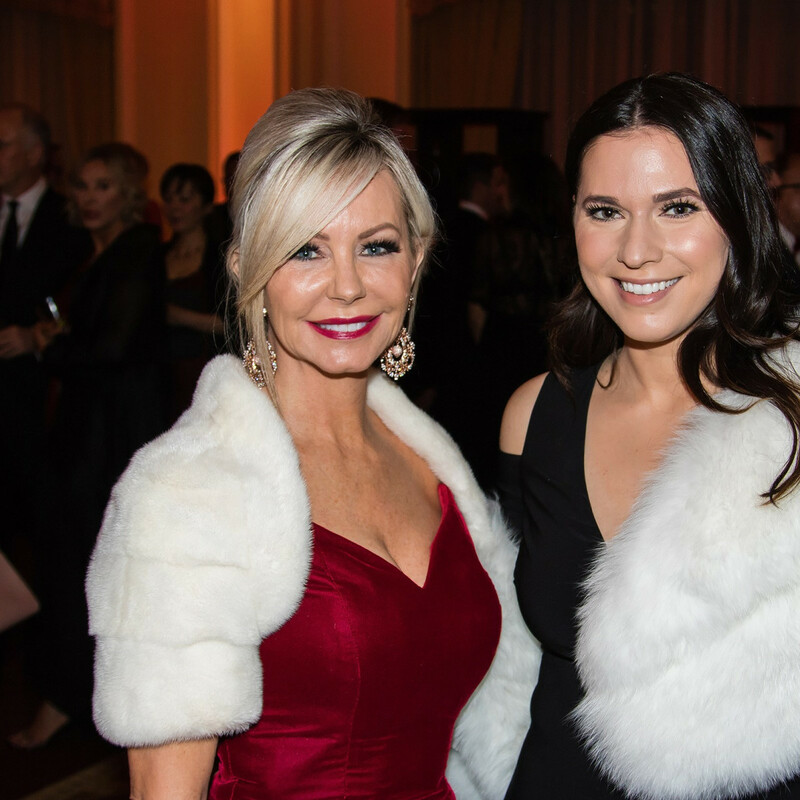 But the real stars of the black-tie ball were the hundreds of workers and volunteers in attendance whose efforts have helped save and improve the lives of vulnerable children through the humanitarian aid organization. 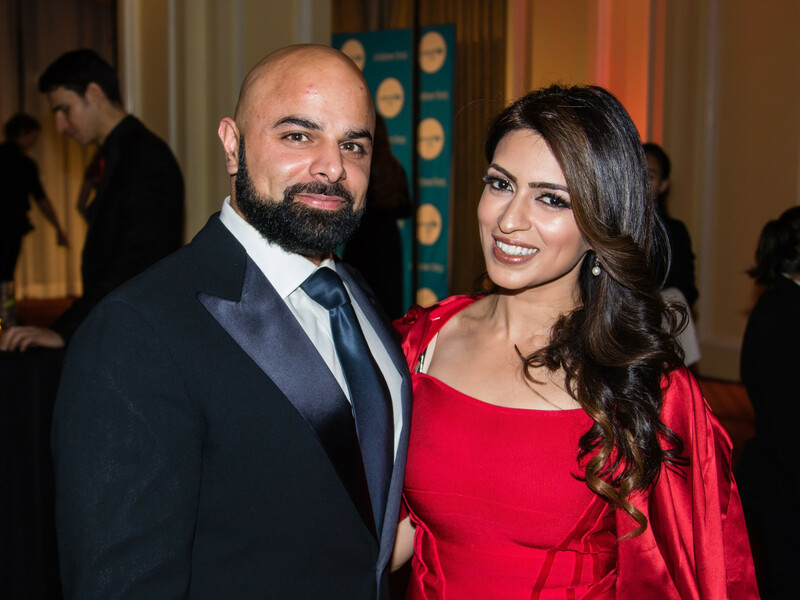 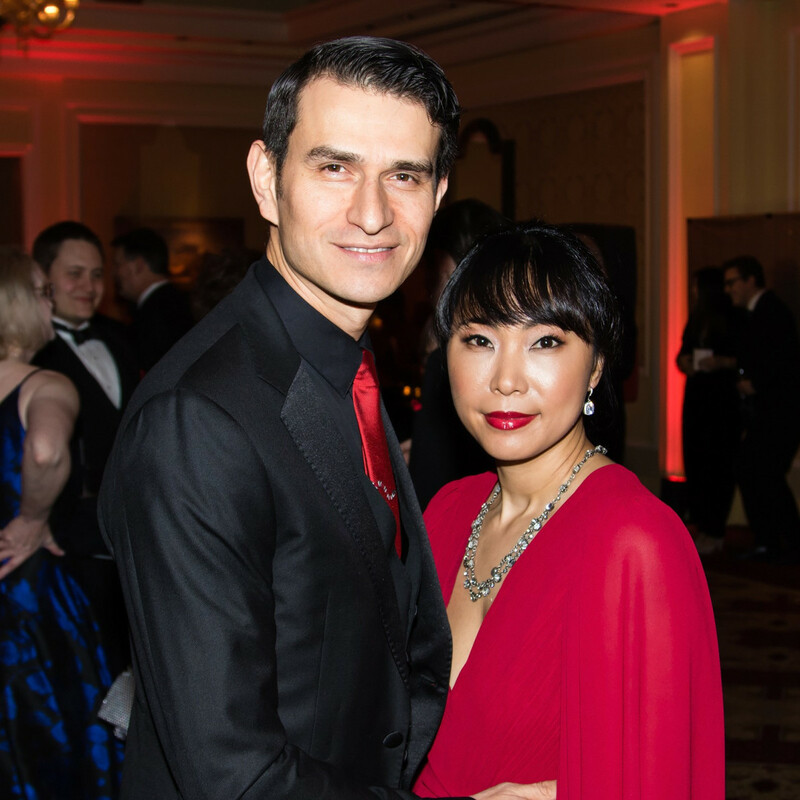 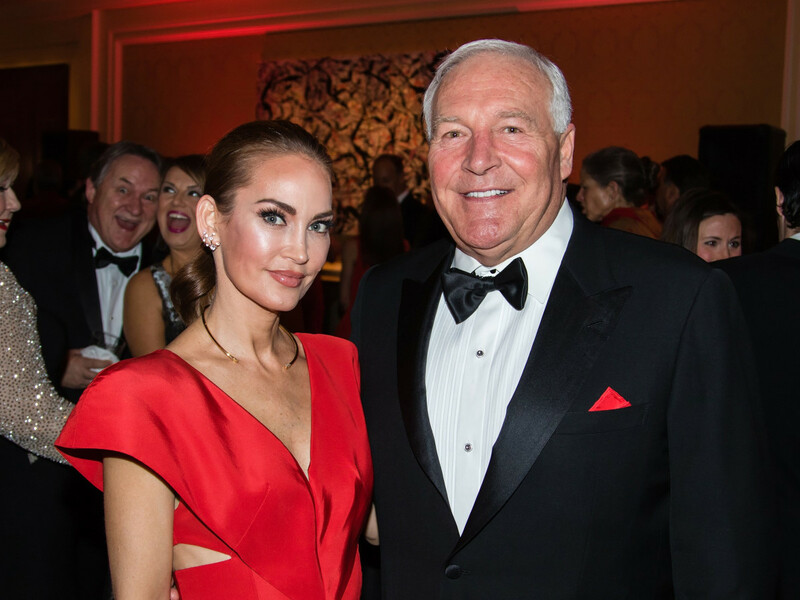 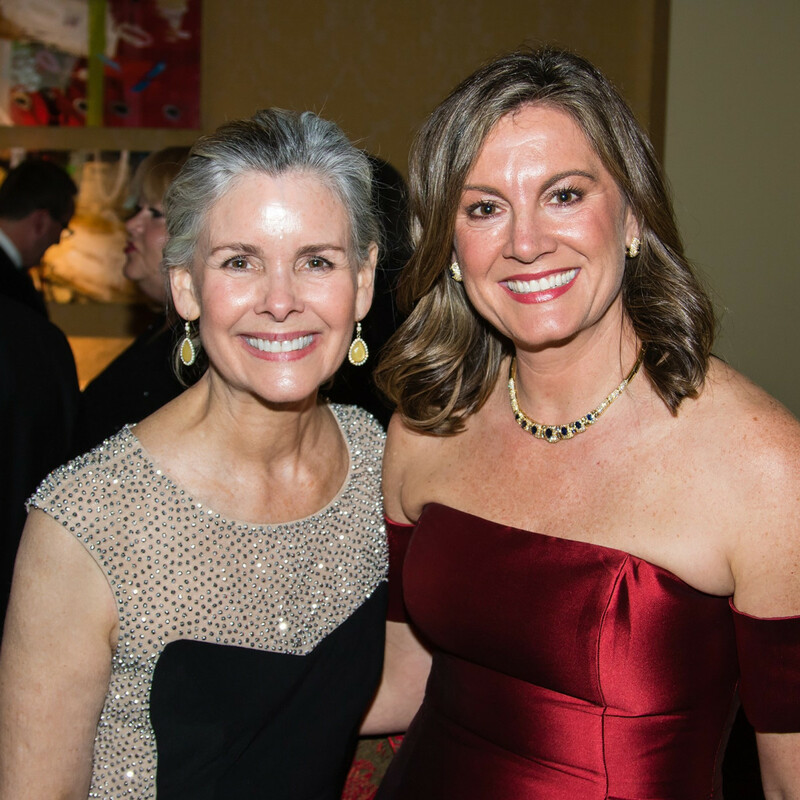 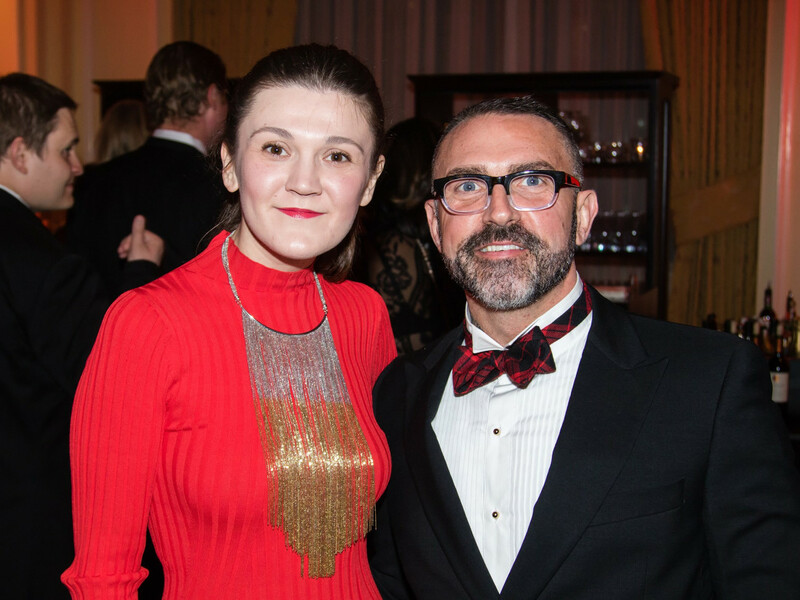 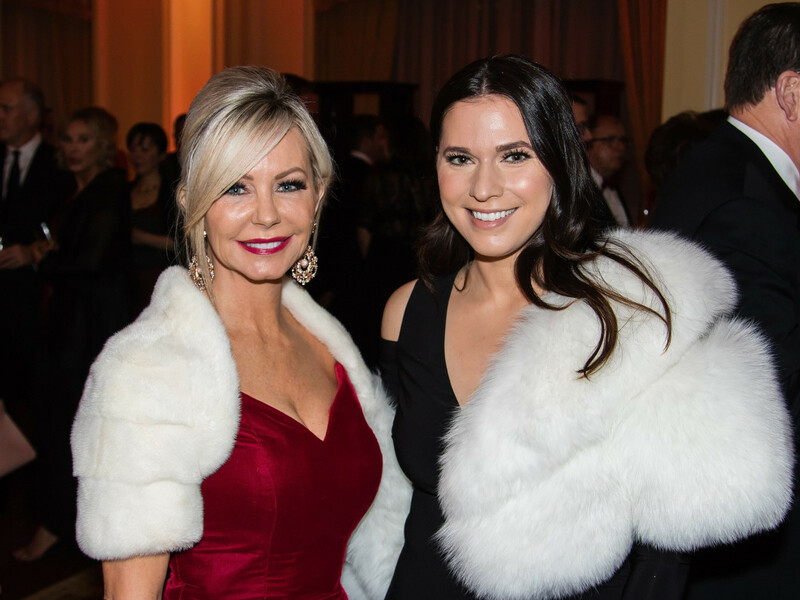 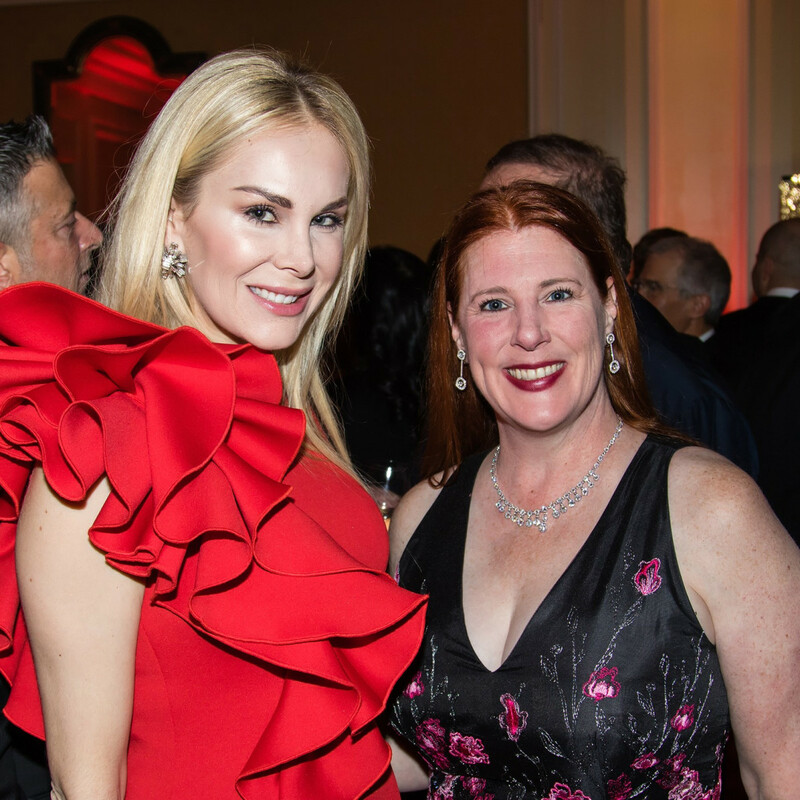 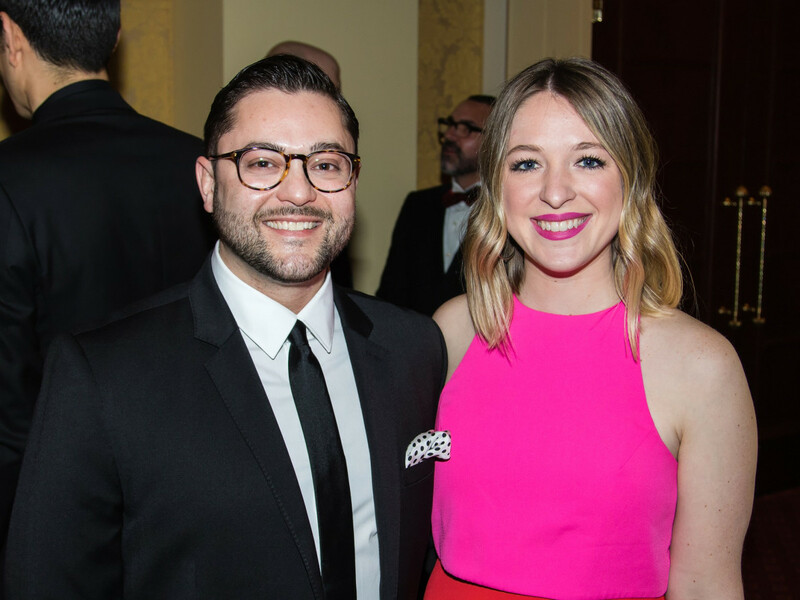 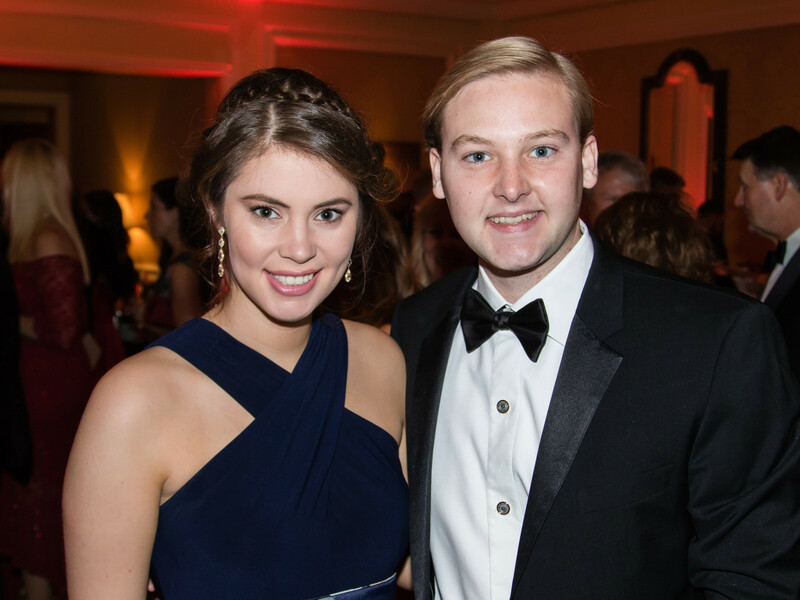 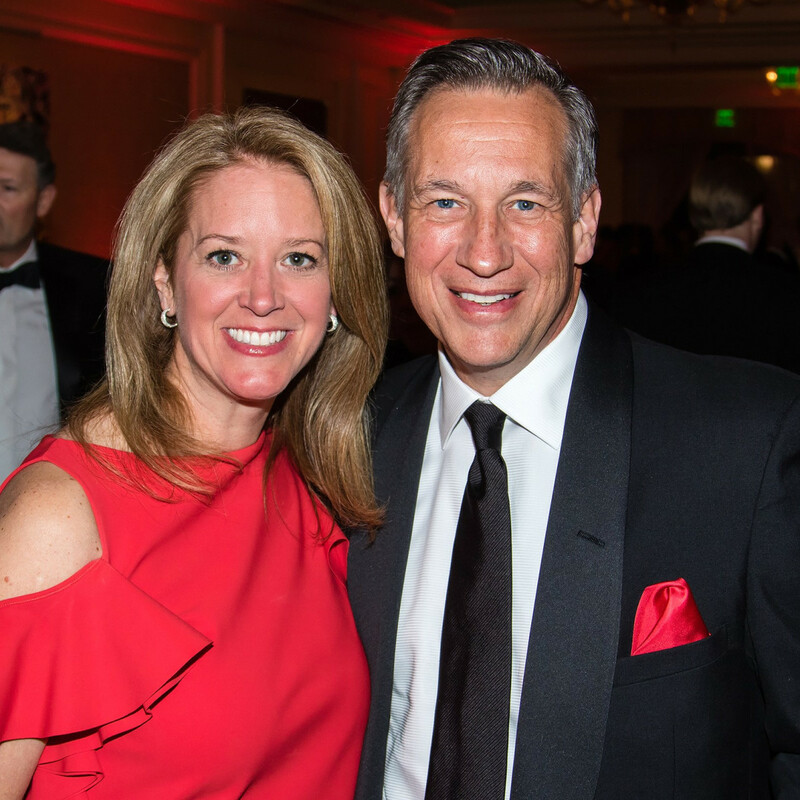 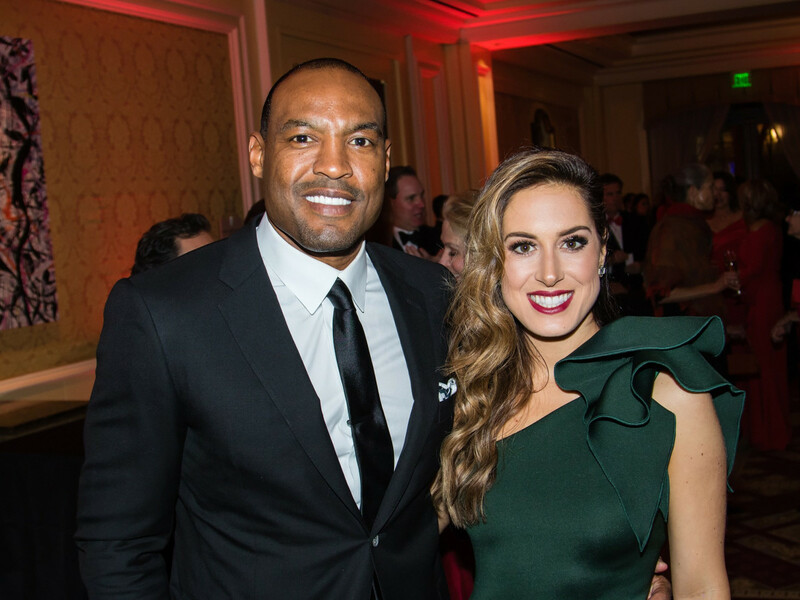 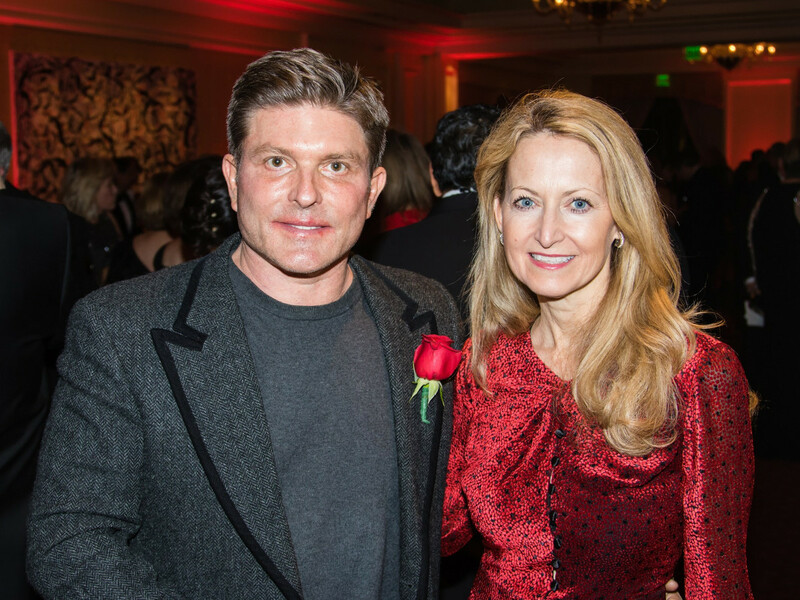 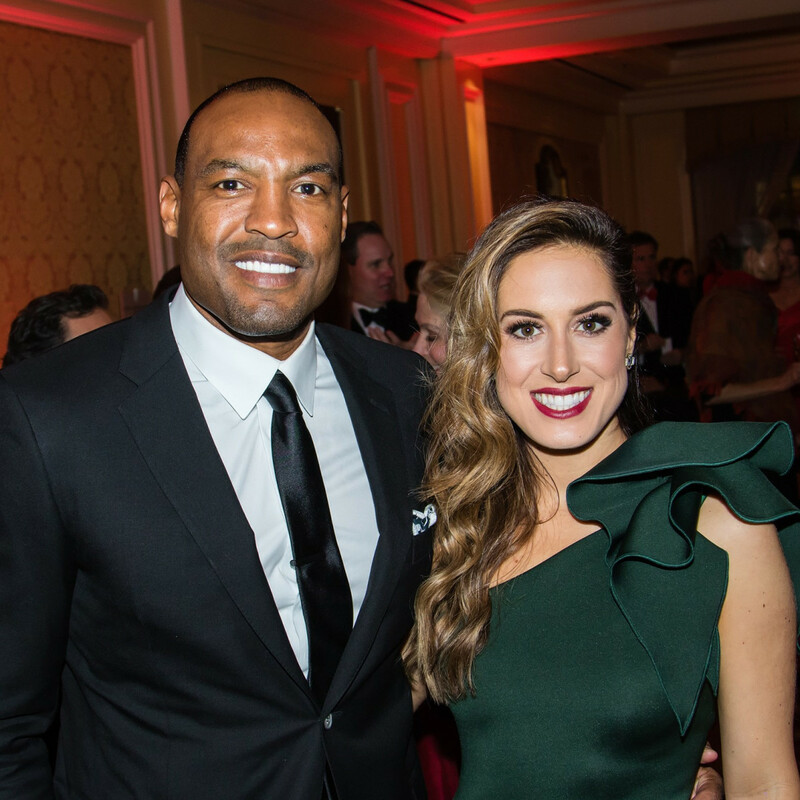 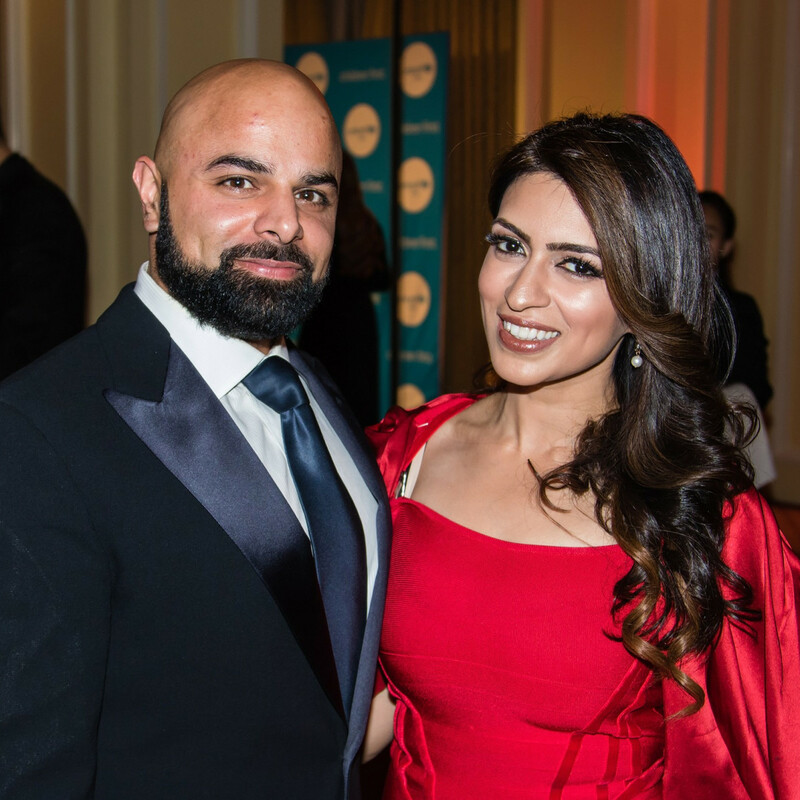 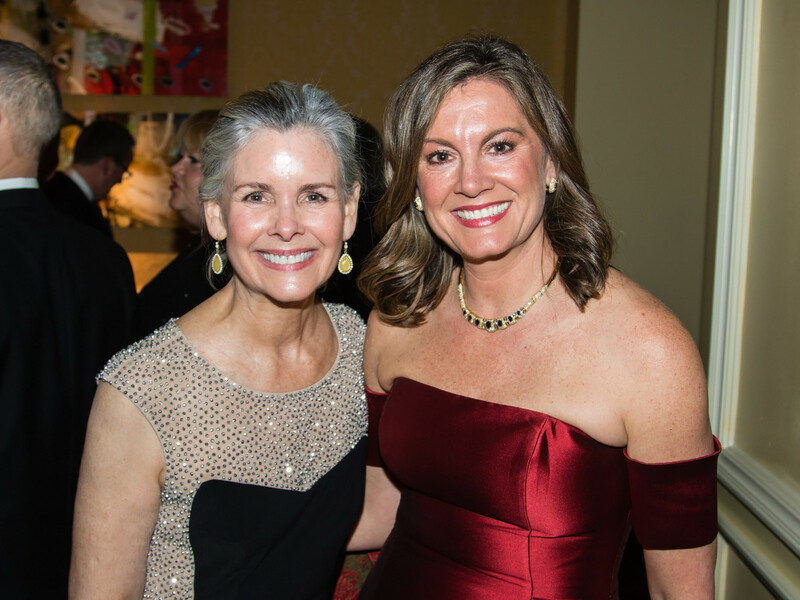 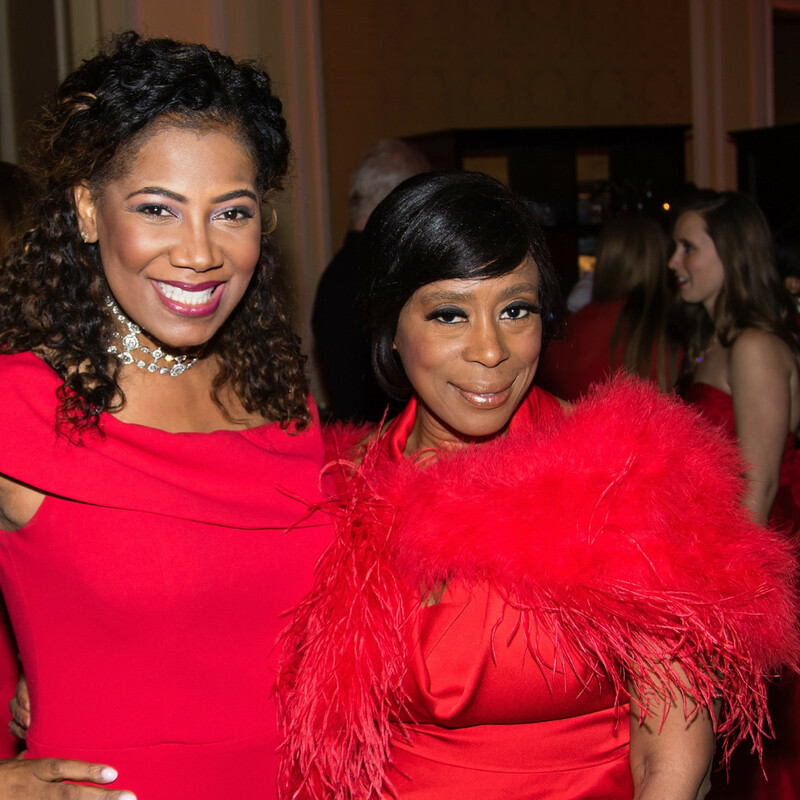 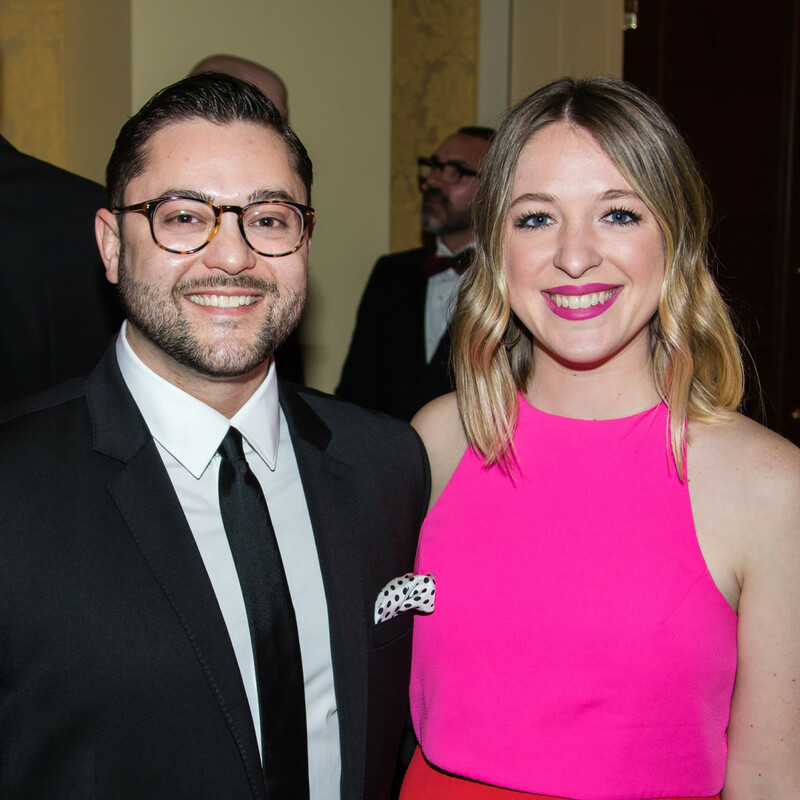 The glittering gala, hosted by the Great Plains Regional Office of UNICEF USA and chaired by Moll Anderson and Jan Miller Rich, brought to the Ritz-Carlton an A-list roster of almost 400 patrons from Dallas and beyond. 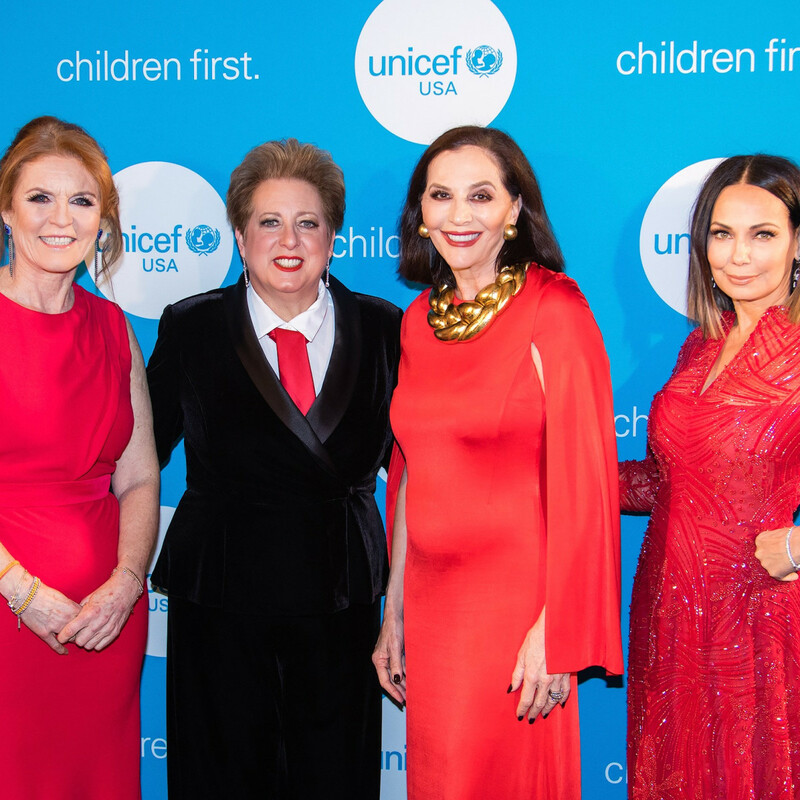 Sarah Ferguson, Duchess of York, a friend of the event chairs and supporter of UNICEF, jetted from London to Dallas for 36 hours to attend the event and serve as its official after-party host. 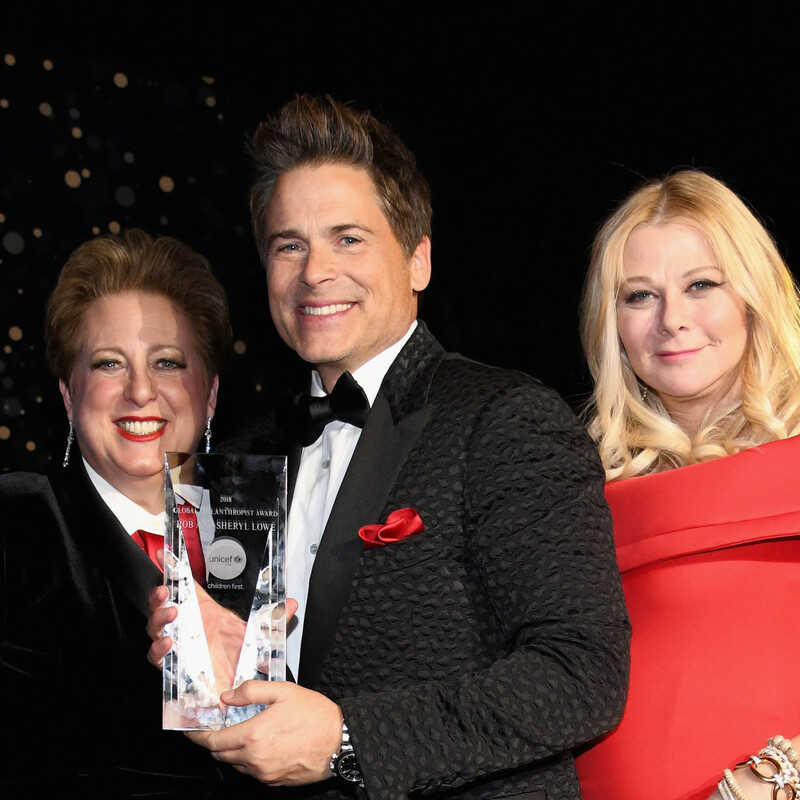 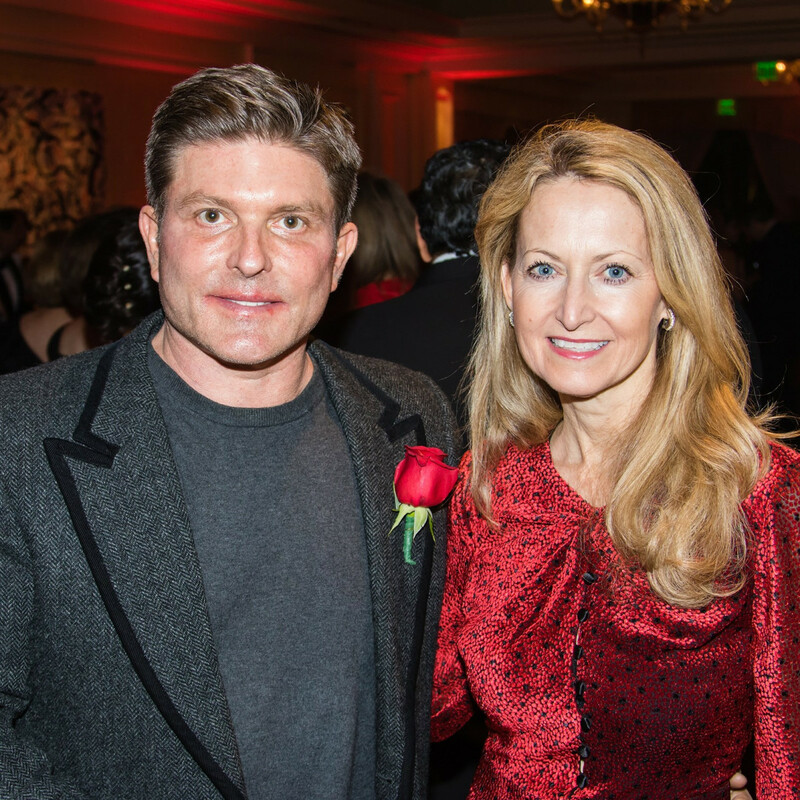 Award-winning actor Rob Lowe and his wife, jewelry designer Sheryl Lowe, were honored as the recipients of the Global Philanthropist Award for their work in raising awareness for women, education, and children’s rights. 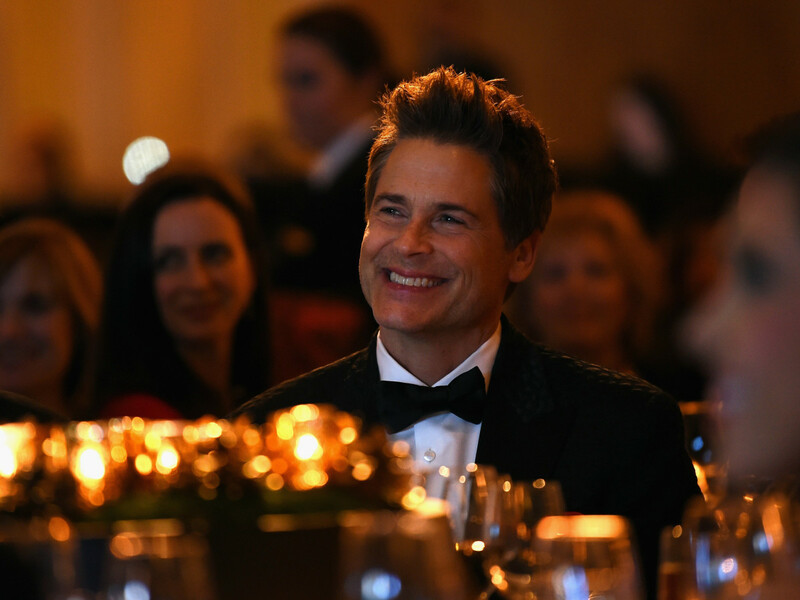 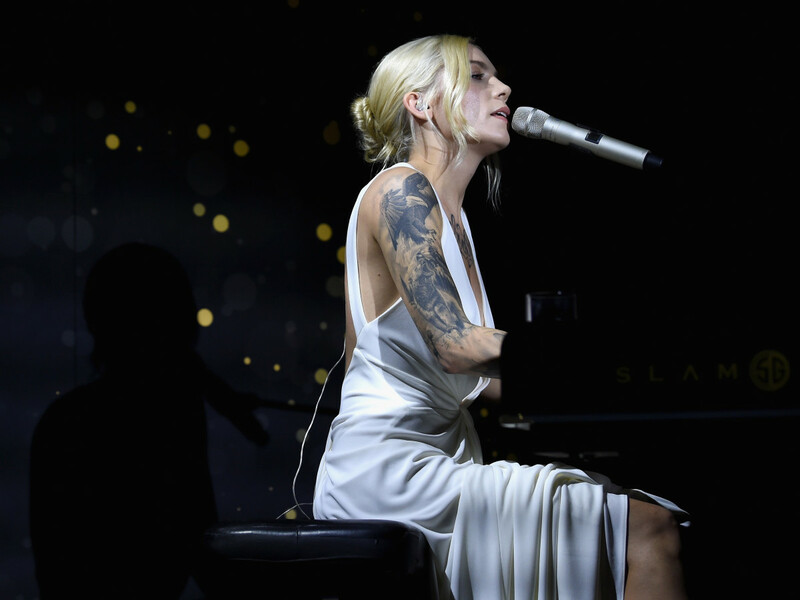 Actress and Dancing with the Stars champ Brooke Burke-Charvet emceed, and singer-songwriter Skylar Grey performed. 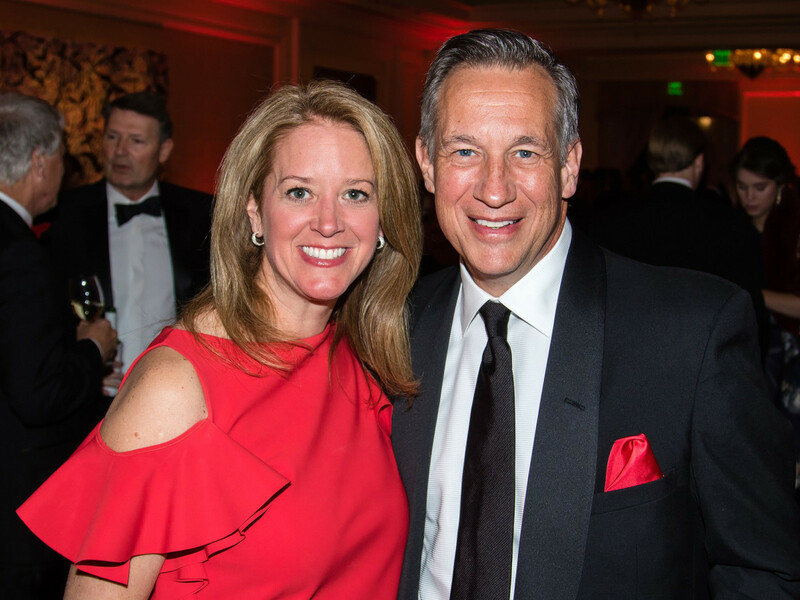 Women donned stunning gowns in the color of the evening, "warrior red," as Burke-Charvet called it; men got into the spirit with red ties, vests, blazers, or pocket squares. 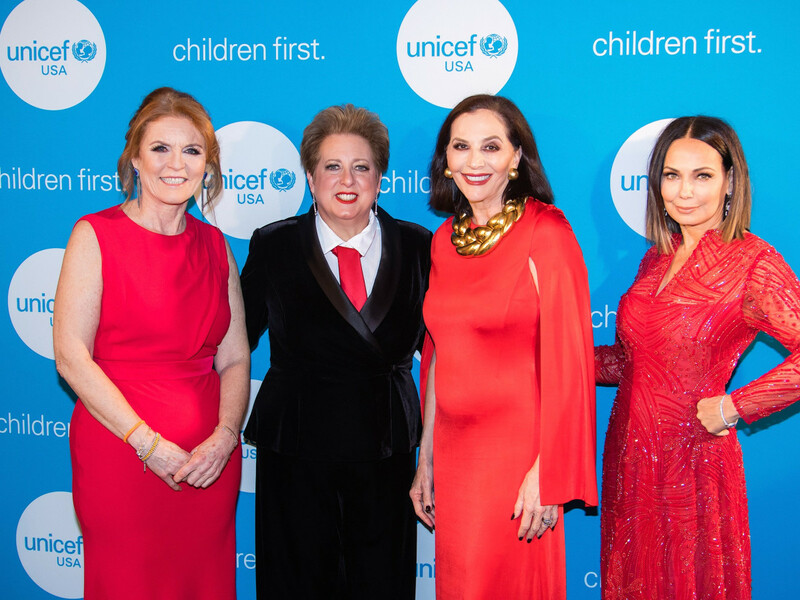 After walking the red carpet and dining on a filet mignon dinner, guests, including leadership committee members Joyce Goss, Amee Joshi, Jessica Nowitzki, Selwyn Rayzor, Leigh Rinearson, Gowri Sharma, and D’Andra Simmons, learned more about UNICEF's life-changing work — particularly over the past year in hurricane-ravaged areas of the Texas Gulf coast, Florida, and Puerto Rico. 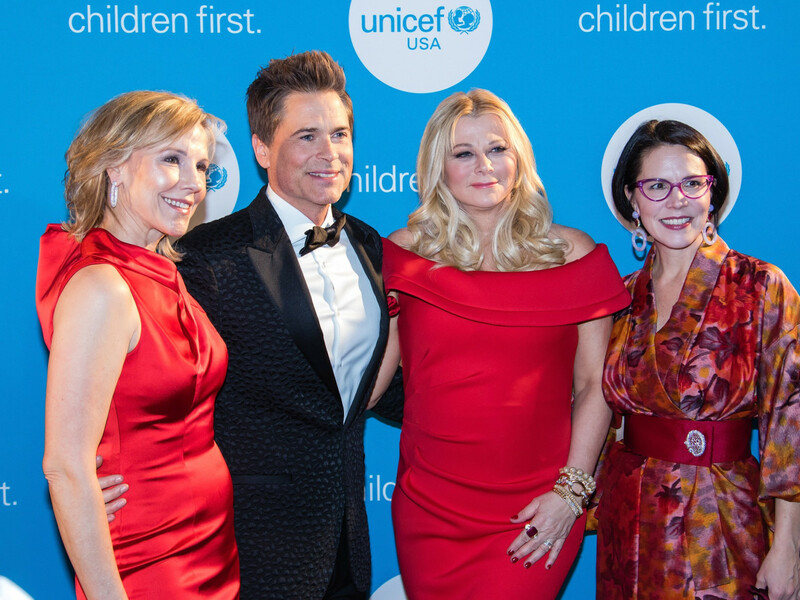 "Support comes in many ways," said UNICEF USA CEO Caryl Stern, "from the thousands of kids across the country who trick-or-treat for UNICEF, to the truly courageous corporate leaders who understand the purpose of business in America extends way beyond just making a product or profit; it extends to using the power of their brand to help shape the world in which they exist." 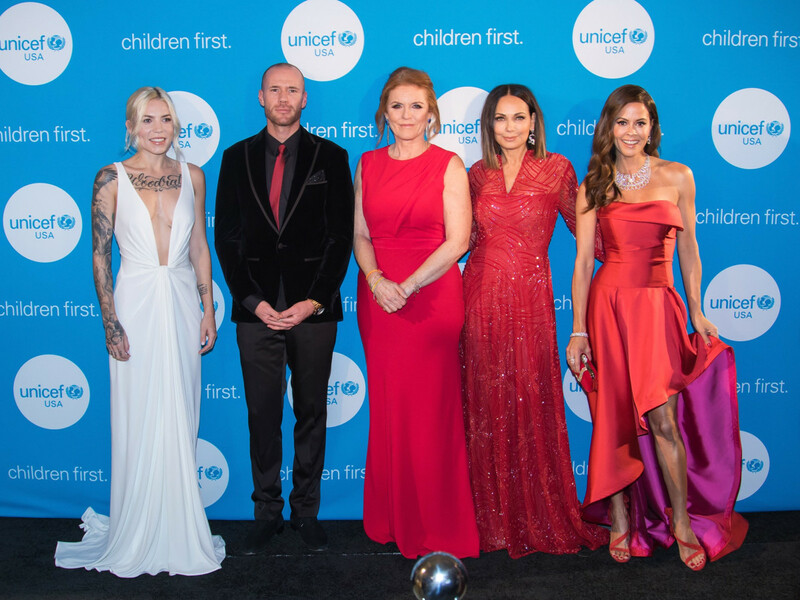 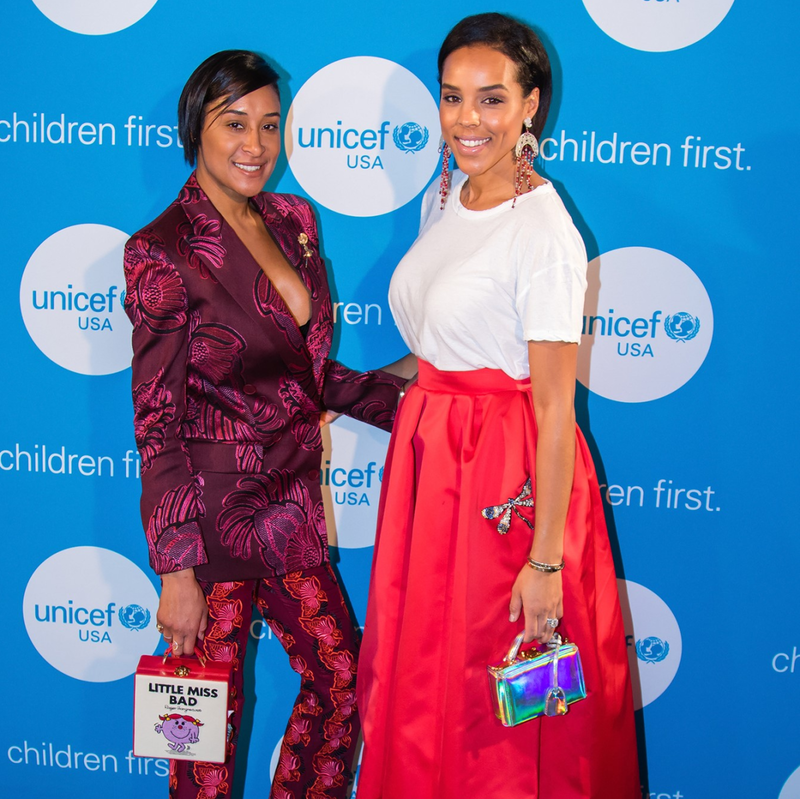 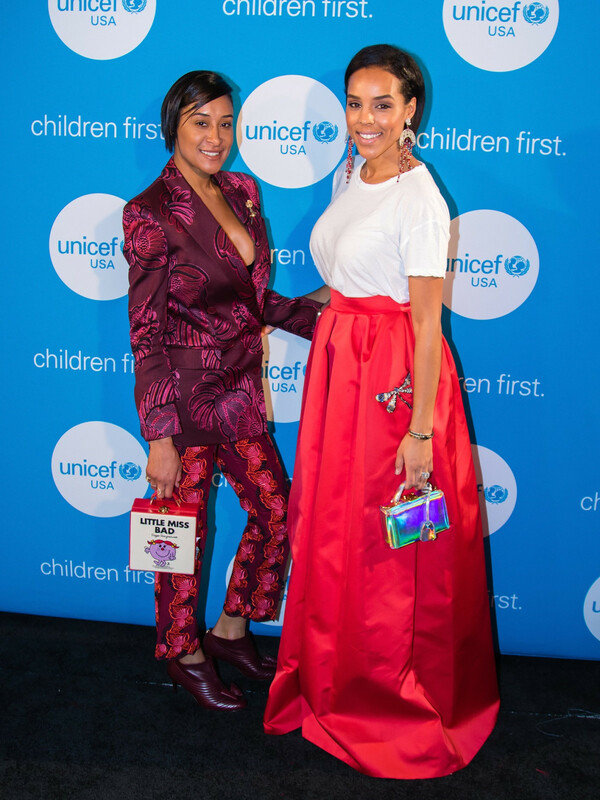 The Kimberly-Clark Corporation received the Children First Award for their commitment to raising awareness and funds for UNICEF. 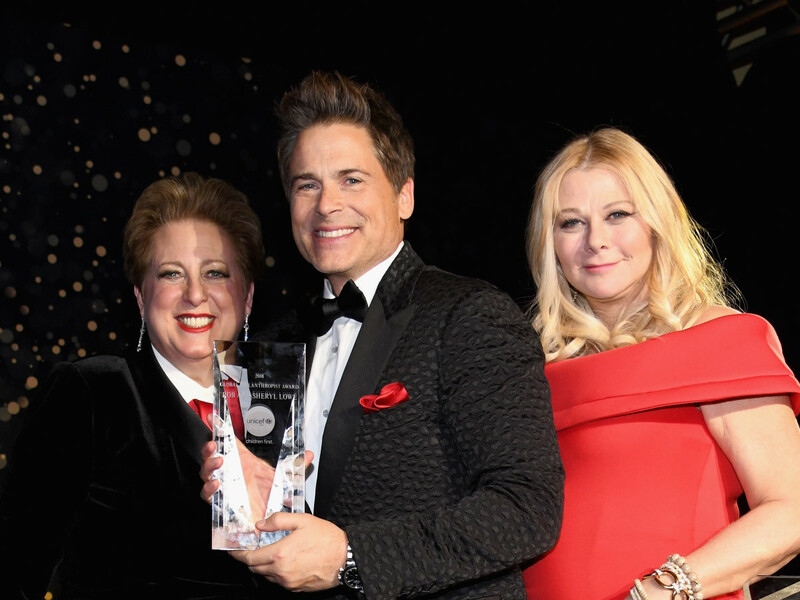 Upon receiving the Global Philanthropist Award recipients, Rob Lowe talked passionately of his personal experiences with the organization. 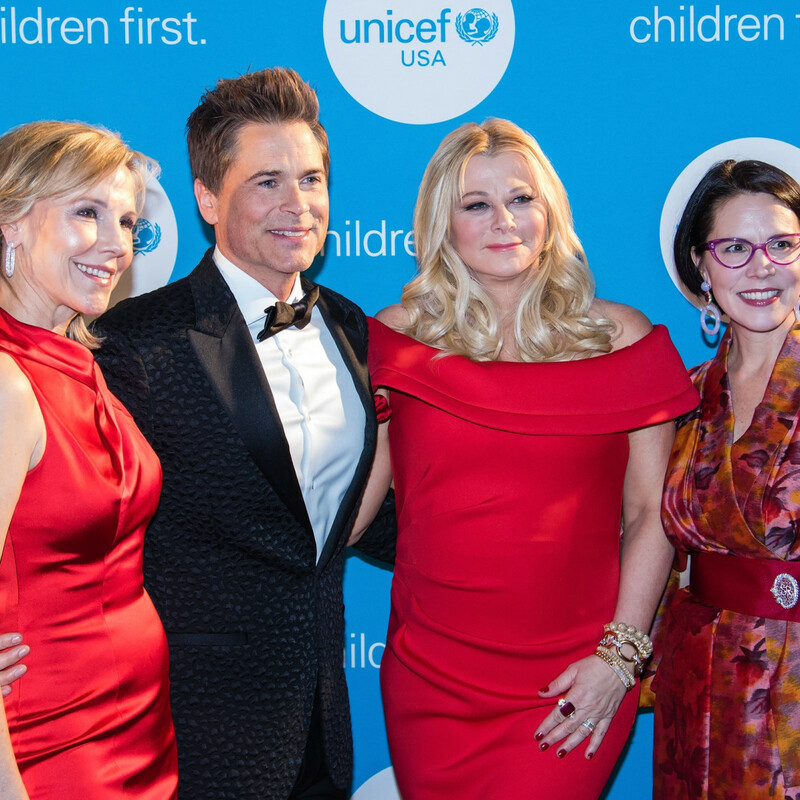 “Going to a Syrian refugee camp was an amazing opportunity to see what UNICEF does firsthand and the kind of impact that it has on these children’s lives," he said. 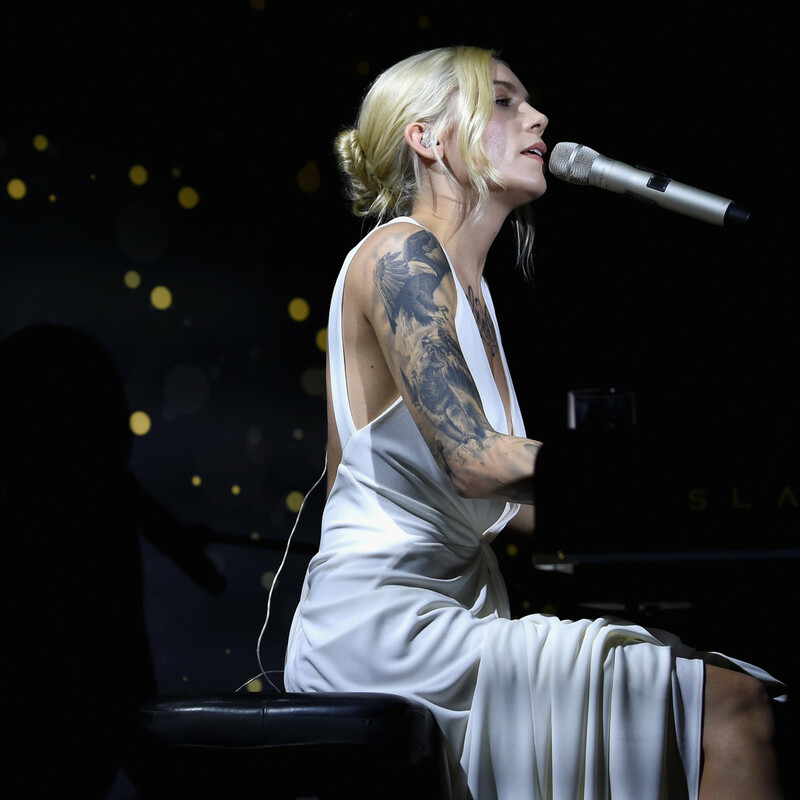 "And it’s going to shape them." 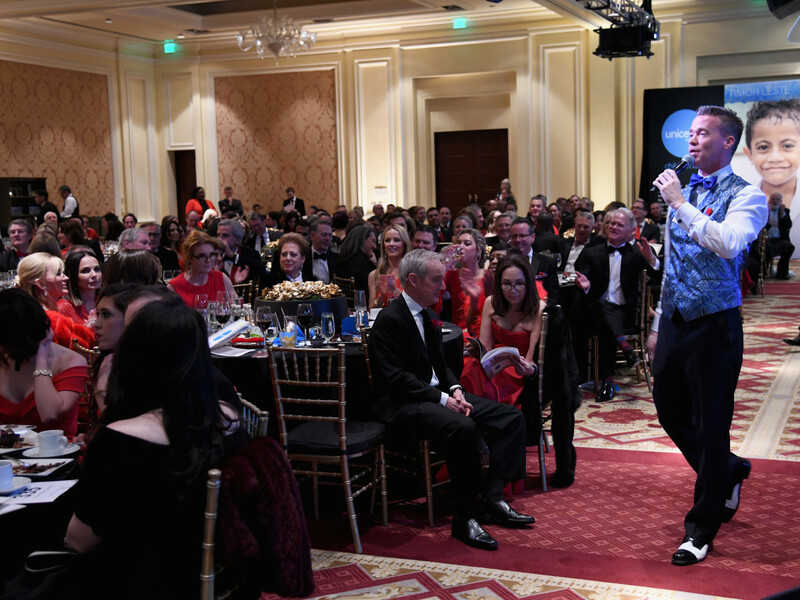 Later, in the evening's most humorous moment, Lowe suddenly joined auctioneer Andrew Bost on stage. 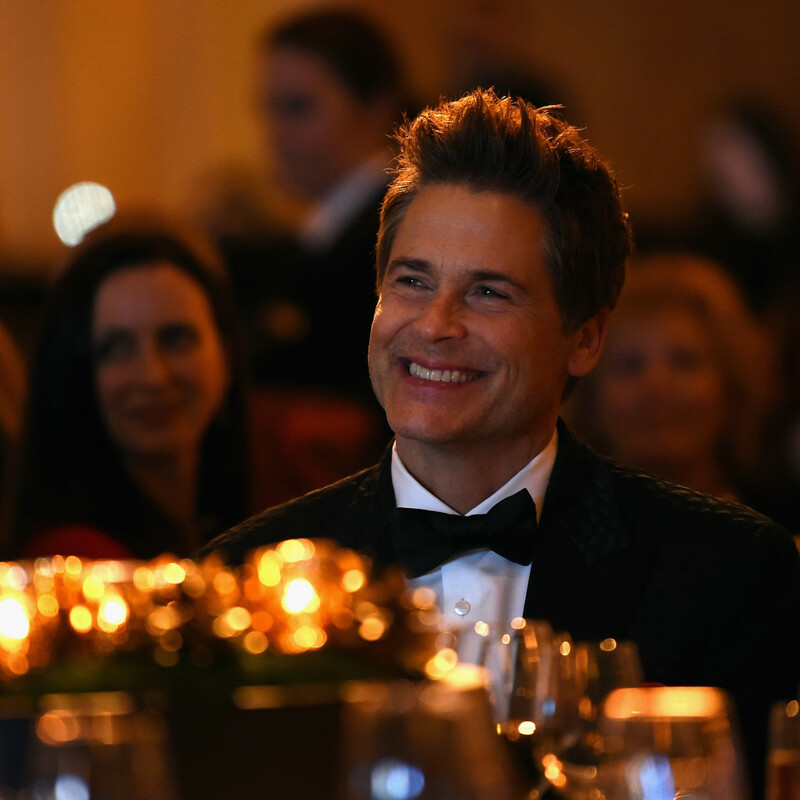 The actor tried out his best "auction speak" to sell tickets to his upcoming live show. 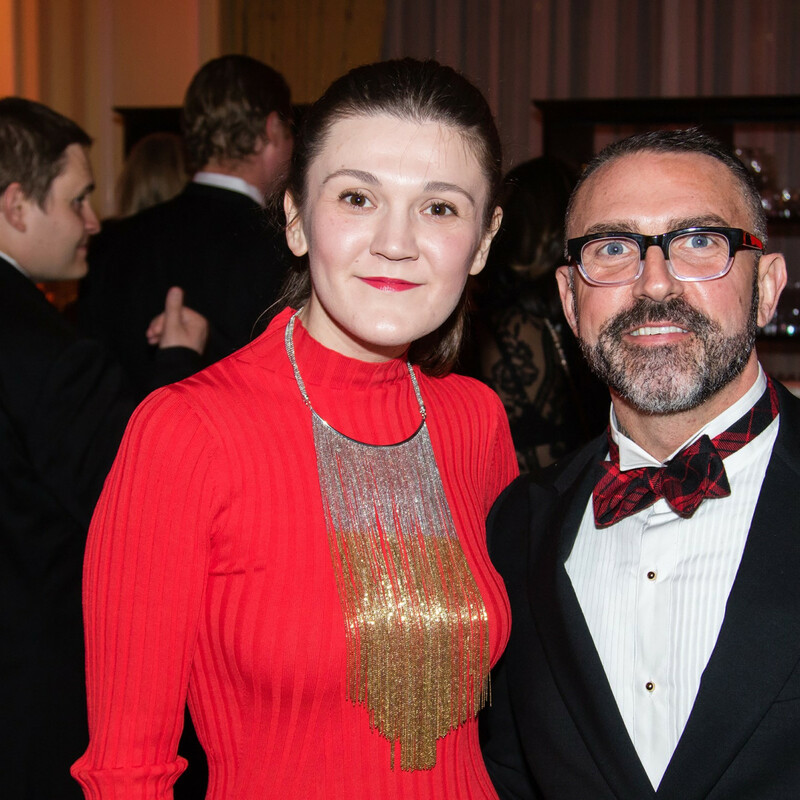 "Just talk a bunch of nonsense and say numbers once in a while," the auctioneer advised. 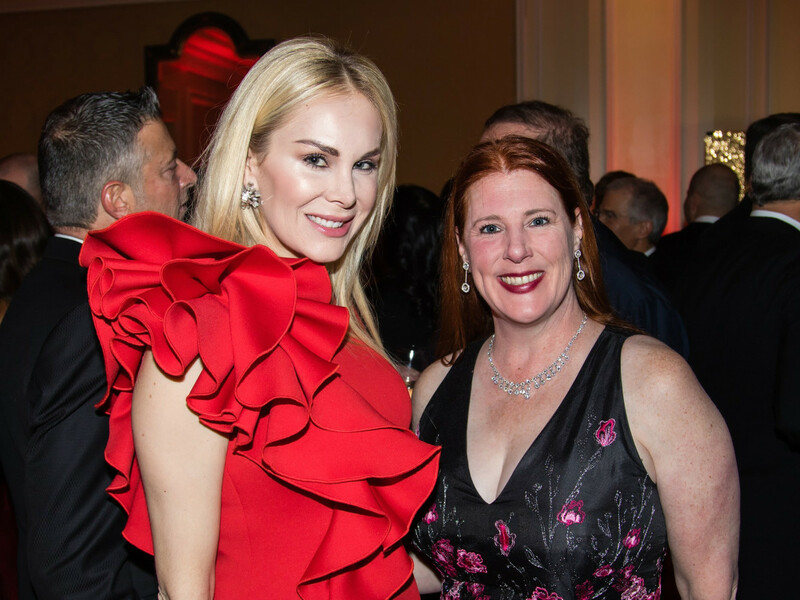 Not to be outdone, the Duchess of York also borrowed Bost's mic to help auction off a trip to London that included afternoon tea with her. 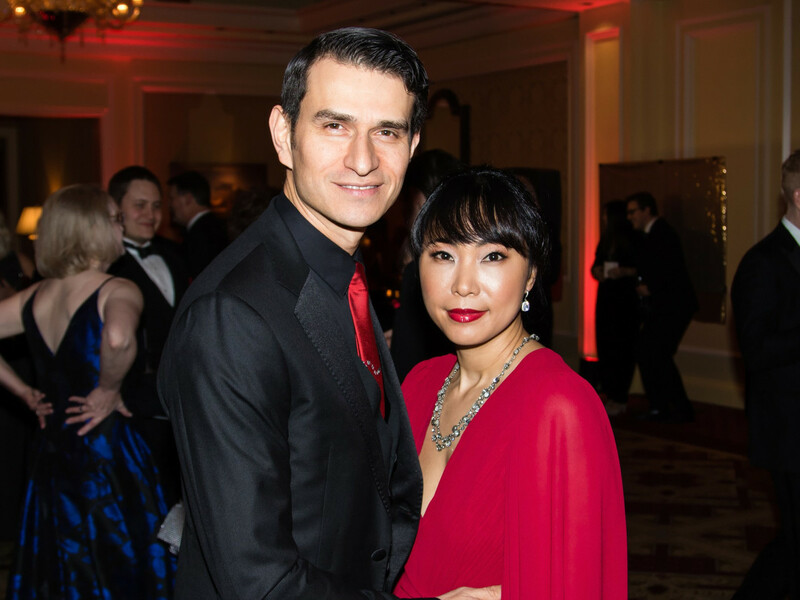 Their efforts paid off. 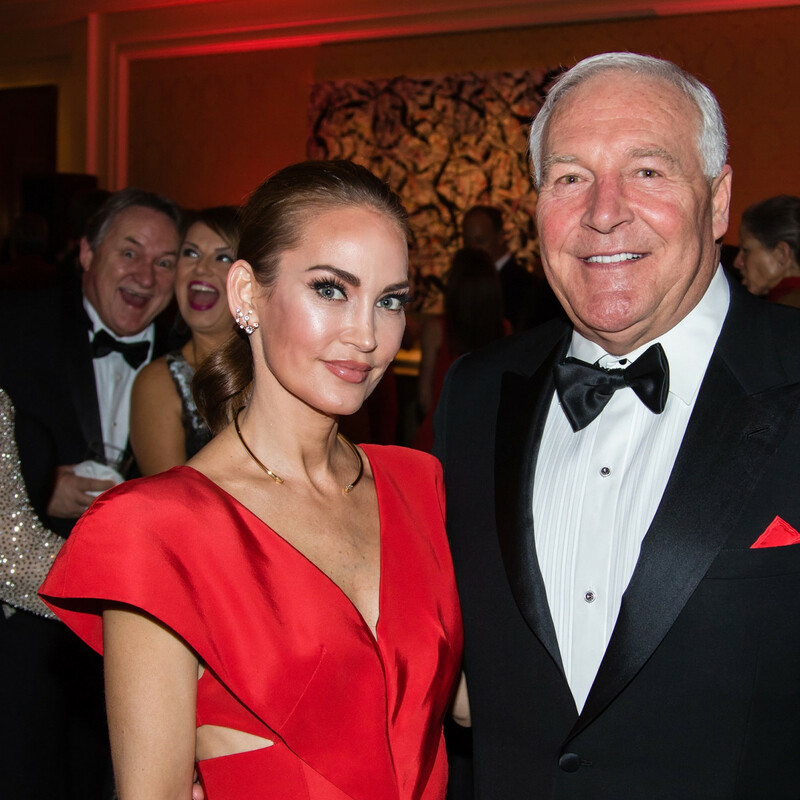 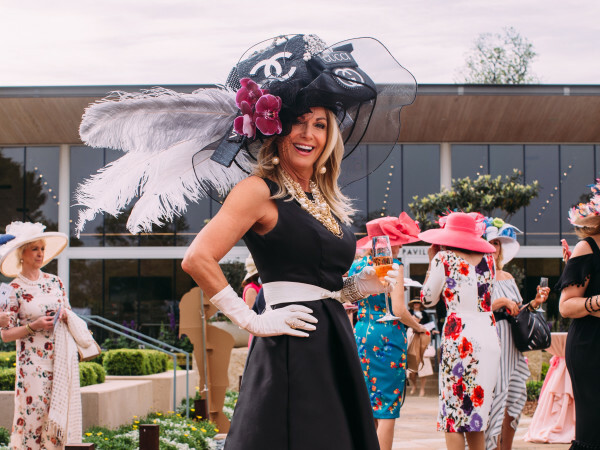 The auction and other special gifts helped raise over $1.3 million, which surpassed the goal of $1 million set by the event chairs. 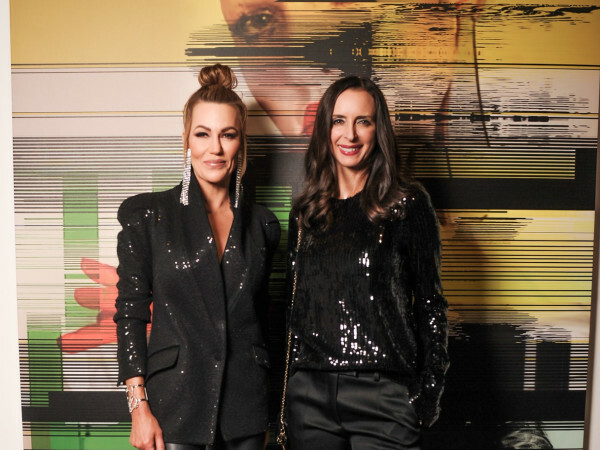 Those who wanted to make a late night of it joined the duchess and other VIPs for an after-party of cocktails and dancing to tunes spun by DJ Sheka Boooker.